Model shows both sides of an eye, enlarged 5 x. 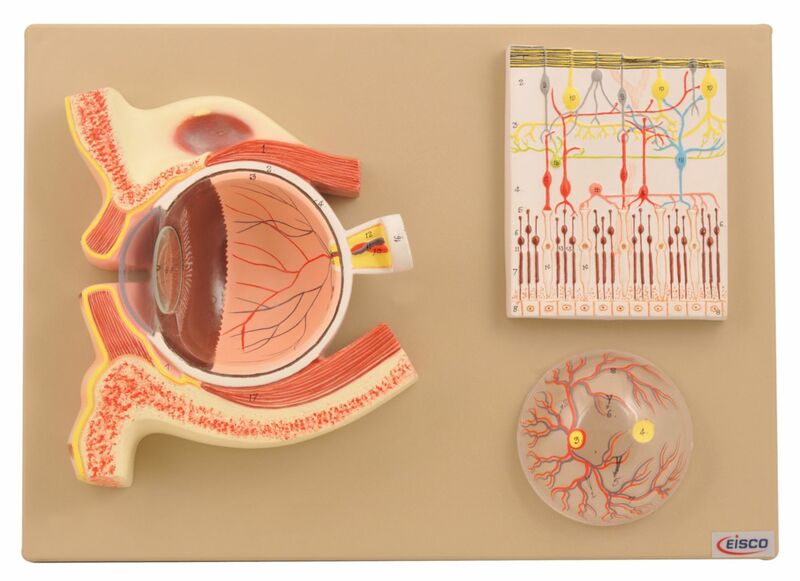 One side of the model shows the eye socket with a sagittal cutaway and the background to the eye and the electron microscopic fine structure of the retina are shown separately. Other side it shows positioning of an eye with surrounding muscles & nerves.